Salicylates are also commonly found in many personal care, skin care, medications (such as aspirin types) and of course, in products containing plants. Everyone knows that large consumption of aspirin types of medications are harmful. But for those who have an intolerance to it, even small amounts of salicylic acid can be dangerous with many adverse reactions. To avoid salicylate sensitivity, it's important to understand what it is. Salicylic acid is the anti-inflammatory, pain-relieving ingredient in aspirin and other similar products. It's also generally and erroneously believed aspirin is safe for everyone of all ages, especially since it may help with heart attack and stroke. Of course we know there are people who are sensitive to aspirin. You may wonder, what could possibly be wrong with salicylic acid ingredients in the products listed. Salicylate intolerance is not uncommon. Due to multiple sensitivities, those suffering with chronic fatigue syndrome, fibromyalgia or irritable bowel syndrome can also benefit with salicylate free products. Unfortunately there are no specific medical tests to determine if you have salicylic acid sensitivity. One method can be to read labels and stay away from products containing it. If symptoms clear up, the likelihood is you have salicylate sensitivity. That being said, it's still important to be tested by an allergist to exclude other sensitivities for your symptoms. If you've determined you do have true salicylate sensitivity, a registered dietician may be helpful to determine a long-term program consisting of salicylate free foods. Dr. Sandy Newmark, MD, the author of ADHD Without Drugs believes some children are intolerant of salicylates. He also believes exposure to salicylates worsens ADHD symptoms in these children. Dr. Ben Feingold, MD, a pediatrician first proposed this. In the 1970s Dr. Feingold found significant improvements in children diagnosed with ADHD, when they were not exposed to foods and products with salicylates. Since we know salicylates are part of all plants in varying amounts, it's important to not use products with extracts, essential oils or herbs on a regular bases, thinking just because they're natural, they're good for you. Most people assume what's "natural" has to be good, and the more you use it the better. Most plants have some medical properties, and most modern drugs originate from plants, and then manufactured in synthetic form. The skin is the largest organ and one of the fastest ways to absorb ingredients into the body. As you absorb ingredients contained in your skin care and other personal care on a daily basis, shouldn't you be knowledgeable as to how these can affect your body and health? It's important to learn which ingredients to avoid. 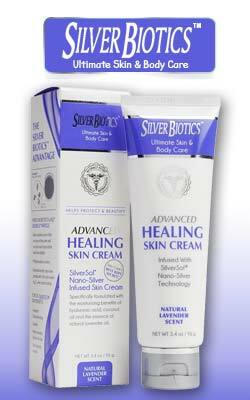 Although difficult to find, salicylate free products are important.